After nearly a decade in the wilderness, Zinedine Zidane is back where he belongs: in the top tier of world football. He’s the new manager of Real Madrid, since the previous manager’s 11-4-3 record was deemed unworthy of the world’s most valuable soccer club, for reasons everyone knows and yet nobody knows. And so we once again have Zizou, the one they said could speak with a football. He who flowed through midfield with the grace of a ballet dancer. He whose bald-spotted dome buried the Brazilians in the 1998 World Cup. He who audaciously chipped a penalty in the 2006 final. Who followed it with the most gangster exit in recent World Cup history: headbutting an Italian heckler and ending his legendary career with a red card. Are Los Galácticos happy to have him? Let’s see: in two games under Coach Zidane, they’ve scored 10 goals. (Both wins; yawn.) The enigmatic striker Gareth Bale broke out with a hat trick before going down to injury. Cristiano Ronaldo and Karim Benzema have each potted a few goals for the boys in white. Madrid’s video-game roster is finally playing like one. You know who else is happy? Me. You know why? He’s back. Ye master of scowls. 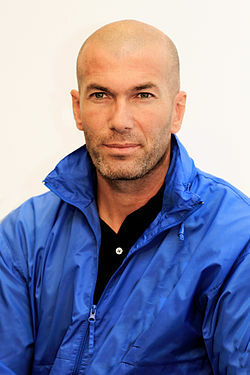 Zizou can outscowl all challengers. Donald Trump. Andy Rooney. That one guy at The Onion. Real may have temporarily forgotten this, but this is a club that’s hired 21 coaches in 20 years. There will be scowls; and so to welcome back one of the finest footballers of our age, let us remember the various mean mugs of this menacing marseillais. 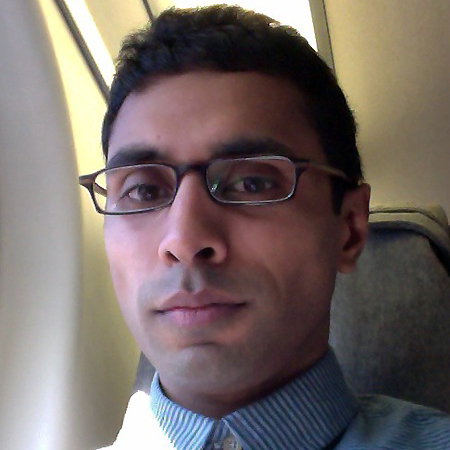 The half scowl, almost smile. 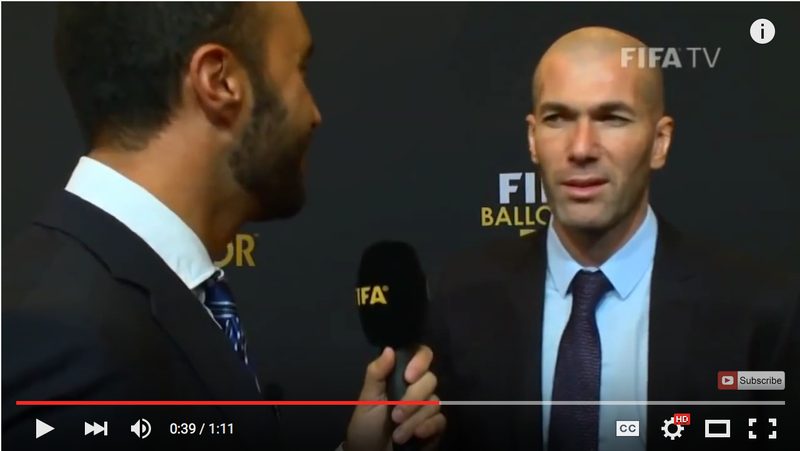 Zizou here is magnetic, his eyes pulsing with barely contained rage. It seems to almost bring him pleasure. The I think I enjoy winning. Rare is the man who greets success with the enthusiasm of a 10-year-old birthday boy who’s just received a sweater instead of Madden. 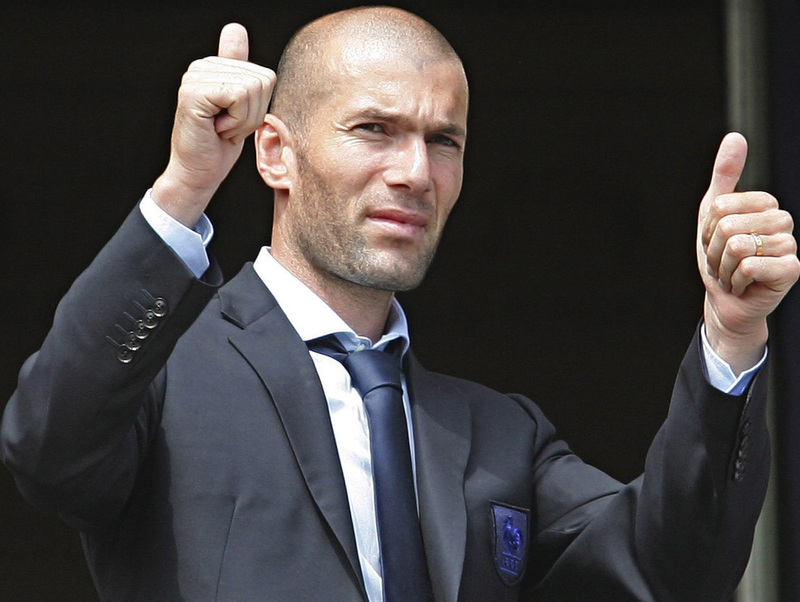 But so too is the rare talent that is Zidane, who feigns enthusiasm as the rest of us might pass a gallstone. The villain from central casting. You know when about 1/3 of the way through an action movie, the bad guy has to go from zero to psycho in 0.5 seconds? Like Gary Sinise’s throat punch in Ransom? 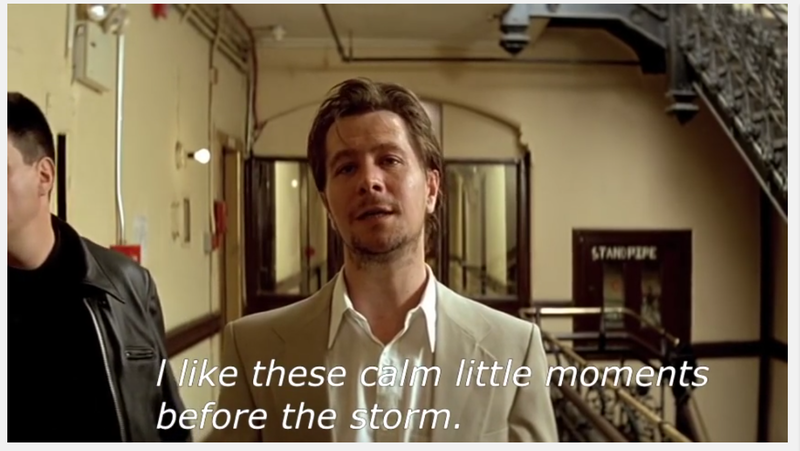 Gary Oldman’s apartment massacre in The Professional? Right before he goes ape, the villain never looks especially vexed. His face goes blank. Your blood chills. You know something bad’s about to happen, but you don’t know why you feel that way, and you don’t know what. Soon, Real. Soon you’ll know.